Welcome one and all to And finally, the place to find out about the smaller stories from the world of wearables you may have missed. Missed the headline-grabbing stories? Don't worry, we'll catch you up. 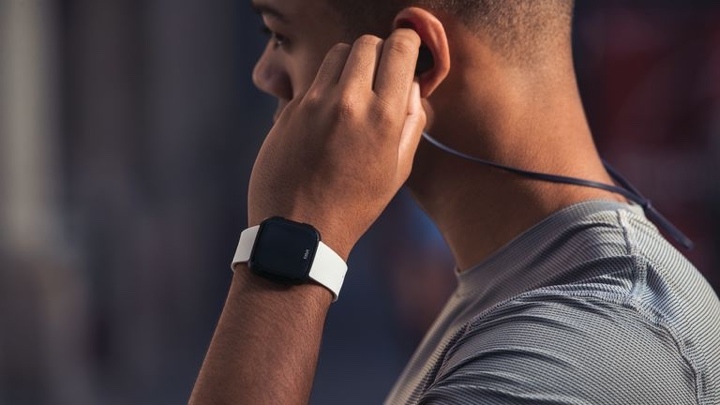 Jawbone is having some serious transition issues, the Xiaomi Mi Band 3 was finally unveiled, the Apple rumour mill suggests two new Watches will land with bigger screens and Withings is coming back after its co-founder bought back the digital health business he sold to Nokia in 2016. There's also been plenty of other stories that didn't quite make the news cut, but we've saved them for you. We're nice like that. Read on to catch up on the best of the rest of the other wearable tech stories of the week. Fitbit Australia has been given more than a slap on the wrist and has been prompted to change the warranty policy for its wearables after the Australian Competition and Consumer Commission (ACCC) received more than 100 complaints about the company only fixing faulty devices within a month of purchase. Apparently customers had been turned away if they had product issues after one year, but the ACCC claimed that Fitbit's actions and warranty had broken Australian laws. Fitbit acknowledged it may have breached the law and has now extended its express manufacturer warranty from one to two years. MyZone, makers of the heart rate monitor chest strap that's all about gamifying fitness is ready to make things more fun. It's introducing a new Zone Match game to its companion app that's all about cardio where the aim is to match an effort level indicated by a colored tile. The more closely you match the colored tile, the more points you score. It's as simple as that. Scores can be rated and shared if you want to gloat about your scores. There's 49 in-app challenges in total to burn those calories and it's free to access too. You will of course need a MyZone wearable to try it out. Chinese company Totwoo has partnered up with US fashion tech company 360Fashion Network to launch its Totwoo Inside DIY wearable tech kits, making it easier for anyone to create fashion tech without needing to know about coding or having to be handy with a soldering iron. The kits, which will be sold online by Queen of RAW, is all about expressing emotion and offer connected features like fitness tracking, inactivity reminders and even UV monitoring. The Bluetooth-packing kit can also be tapped or shaken to communicate or send messages giving fashion tech designers plenty of things to get creative with.